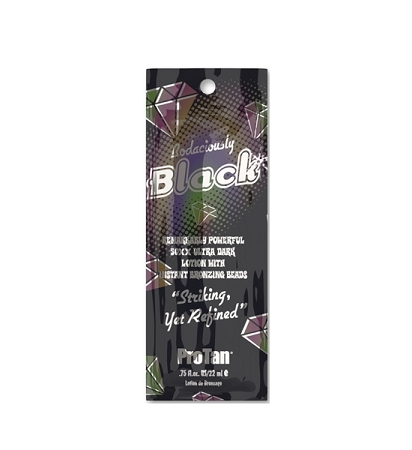 Bodaciously Black™ Remarkably Powerful 50XX Ultra Dark Lotion with Instant Bronzing Beads…. Moisture replenishing blend for temptingly touchable skin all day. High speed micro bronzing beads provide an instant burst of bronze for that perfect off the beach glow!